Marie, the Coquerel's sifaka born at Duke Lemur Center. 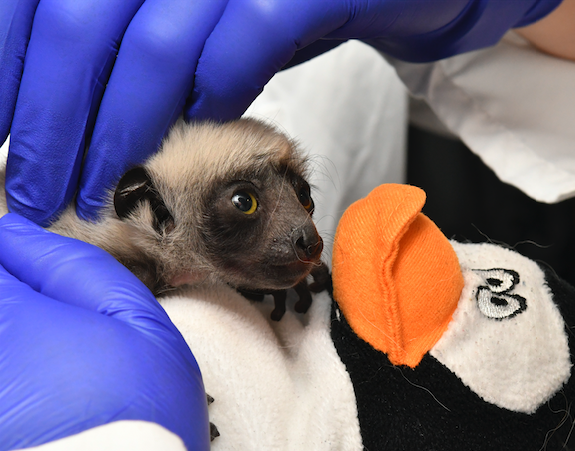 The Duke Lemur Center welcomed its first birth of 2019. 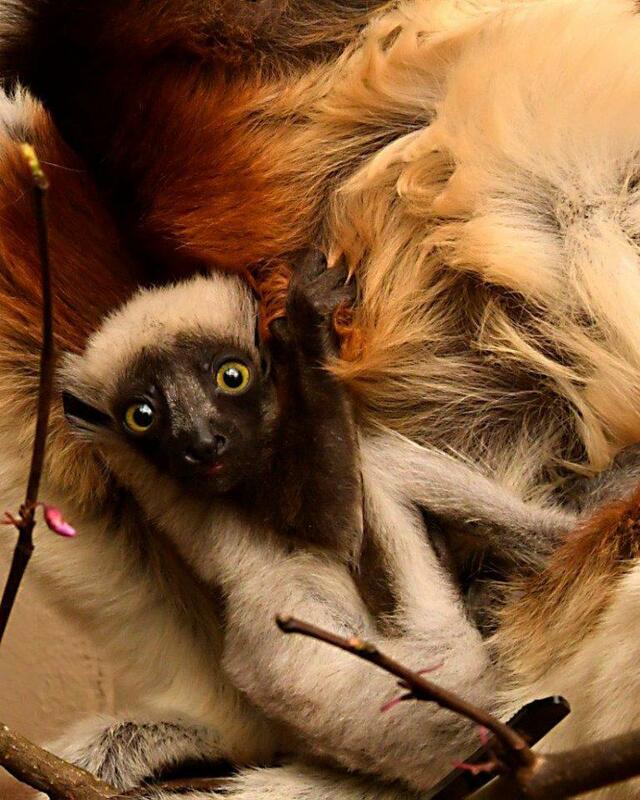 Named Marie, the infant is a critically endangered Coquerel's sifaka and is important to the center because she will help protect the species from extinction, said Greg Dye, the new executive director of the Duke Lemur Center. In Madagascar, Coquerel's sifakas are threatened by habitat loss and hunting. As a group, lemurs are the most endangered mammals on Earth, with 95 percent of species at high risk of extinction. Coquerel's sifakas were uplisted from endangered to critically endangered in 2018 by the International Union for Conservation of Nature (IUCN). Maria was born on Feb. 23 and the center announced her birth Thursday. She is the granddaughter of Jovian, star of the Kratt brothers' beloved PBS children's show "Zoboomafoo." Her parents are Gertrude, a first-time mother, and Remus, who had only recently been paired together, according to the center. Dr. Cathy Williams, the DLC's director of Animal Care and Welfare, said she hadn't intended for them to breed quite yet. "Gertrude and Remus got along very well indeed!" says Williams. "Marie was the unexpected but very welcome result." Marie weighed 108 grams at birth, slightly heavier than a deck of playing cards. Although she failed to gain weight during her first few days of life, by March 2 she began to improve, nursing well, maintaining weight, looking bright and alert, and clinging tightly to Gertrude's abdomen. "Any first-time mom or dad knows how stressful figuring out how to be a good parent can be," said Dye. "To see these two first-time parents be so successful is a huge tribute to them and to the DLC's amazing staff."